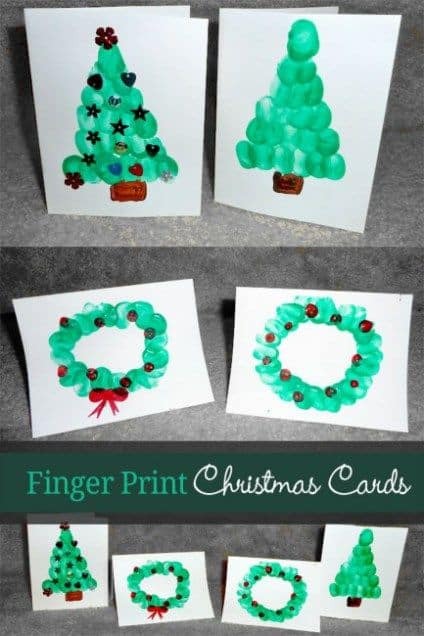 These homemade Christmas cards for kids to make are super cute and your family will love getting them in the mail! 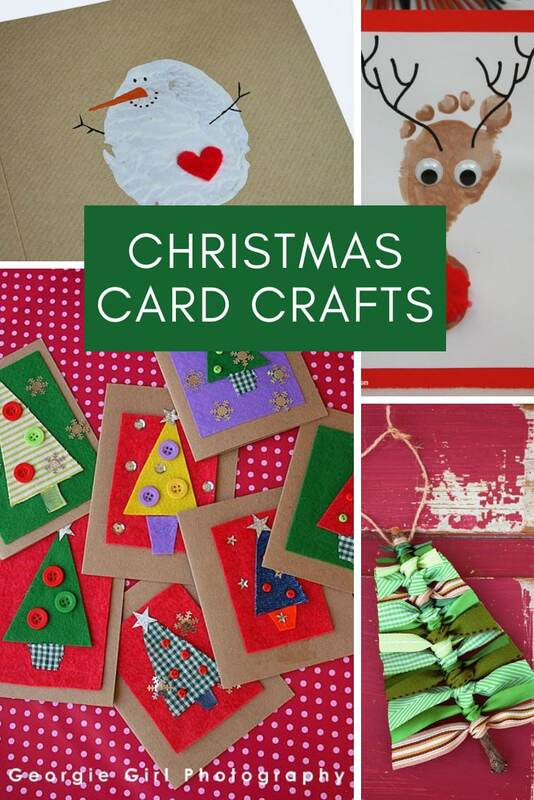 Especially Granny… because she loves the handmade stuff the most right? 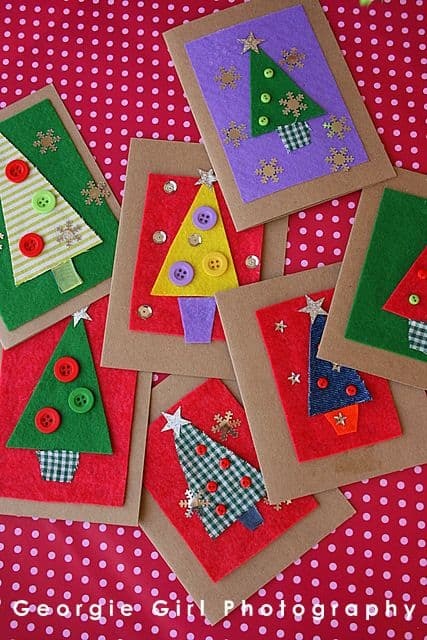 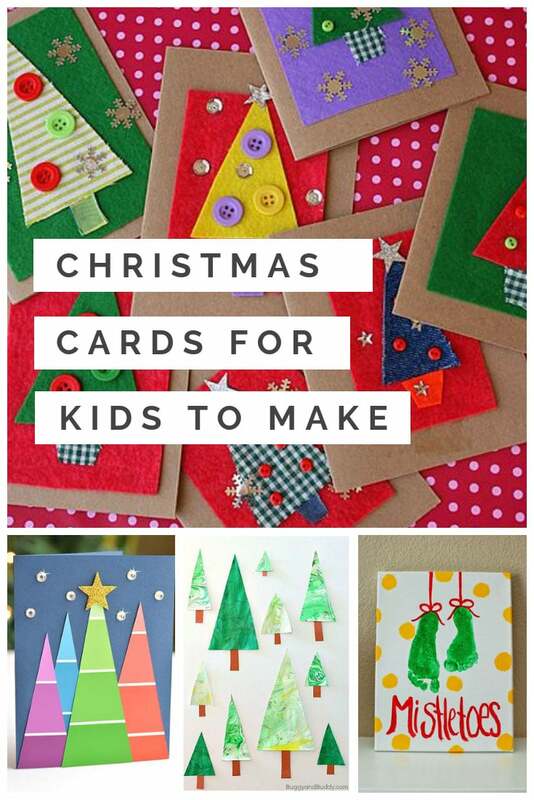 Adorable Homemade Christmas Cards for Kids to Make! 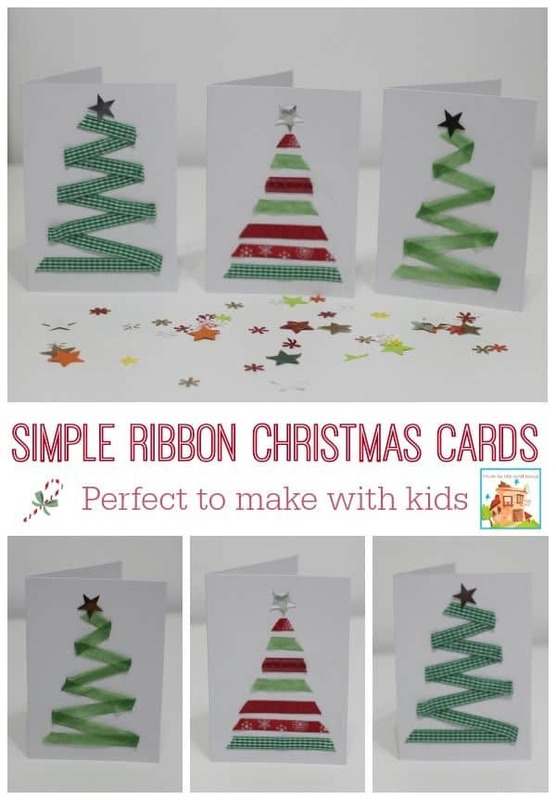 It’ll soon be time to send out those Christmas cards and this year why not get your children involved and let them have a go at making their own Christmas card to give to Daddy or send to Grandma. 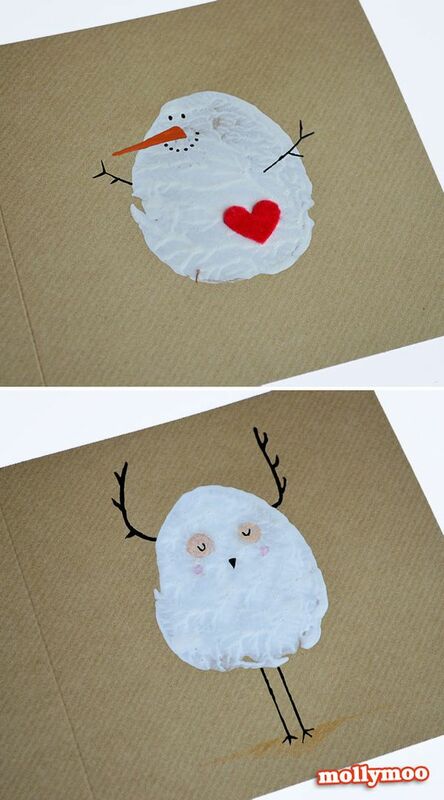 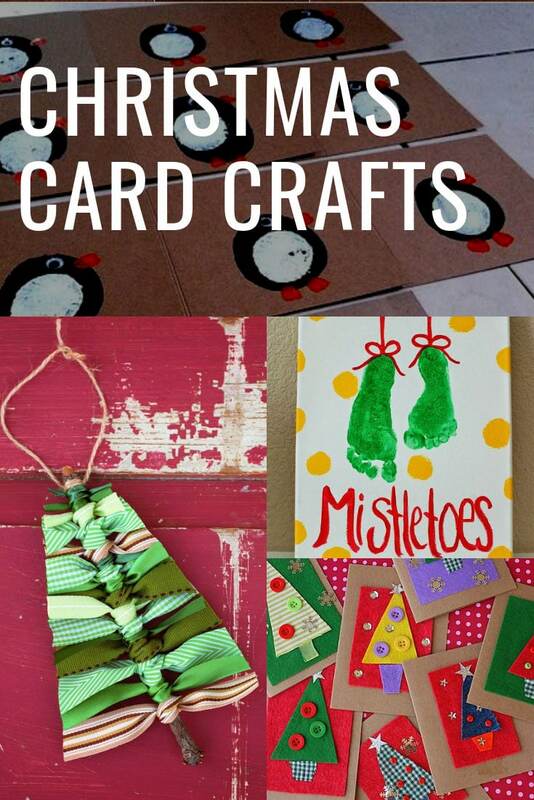 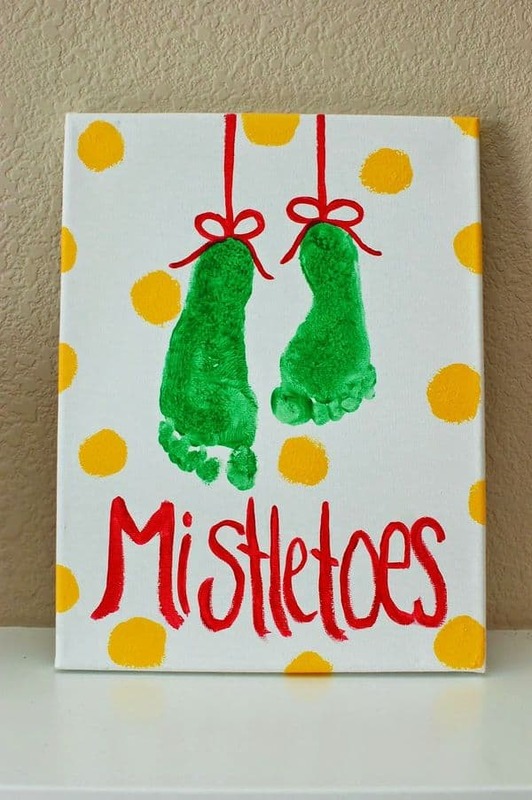 If you need some inspiration check out these adorable homemade Christmas cards. 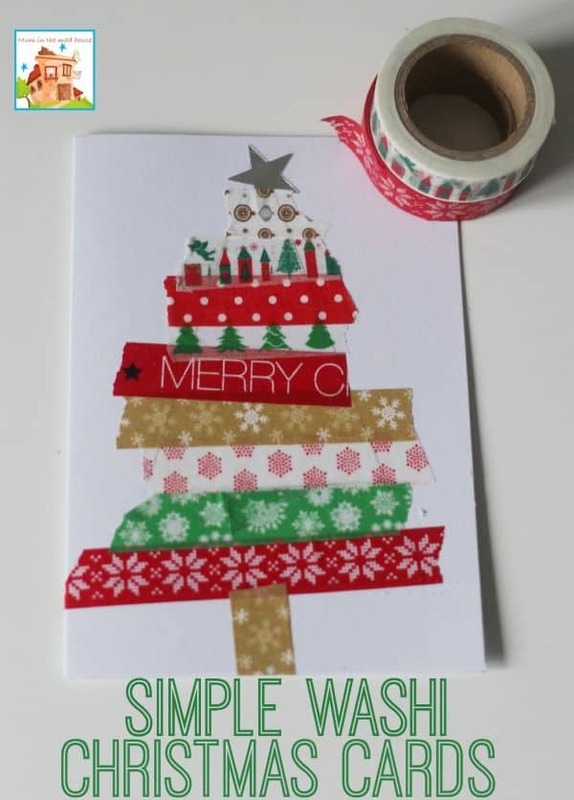 I found everything from cards decorated with ribbon or washi tape to footprint cards and even potato prints! 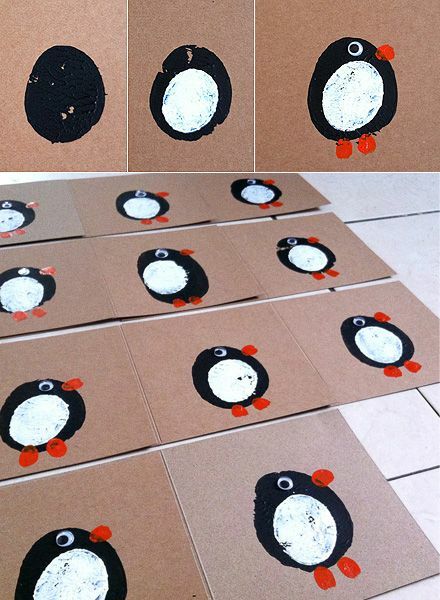 Most of them can be made by a toddler, under your supervision of course, and your older kids will enjoy this activity too! 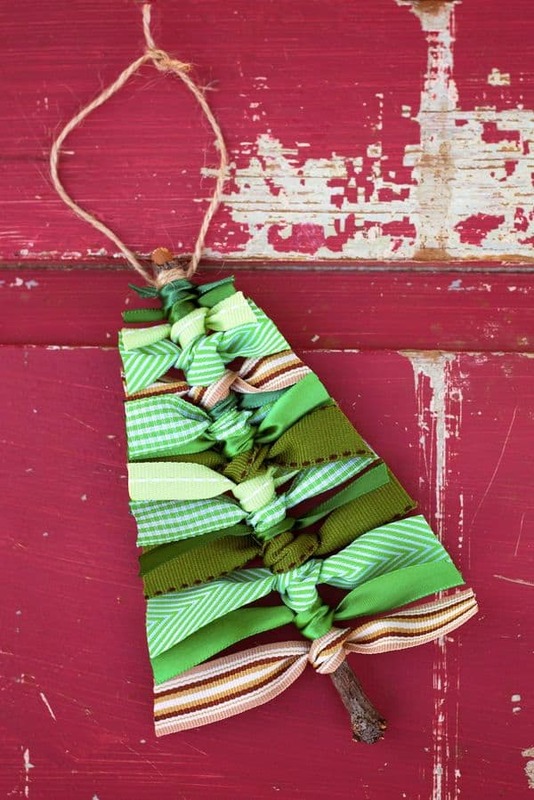 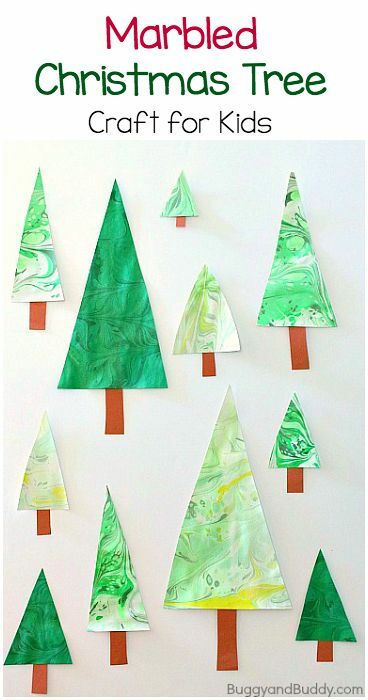 And we have a whole collection of Christmas tree crafts for your kids to have a blast with too! 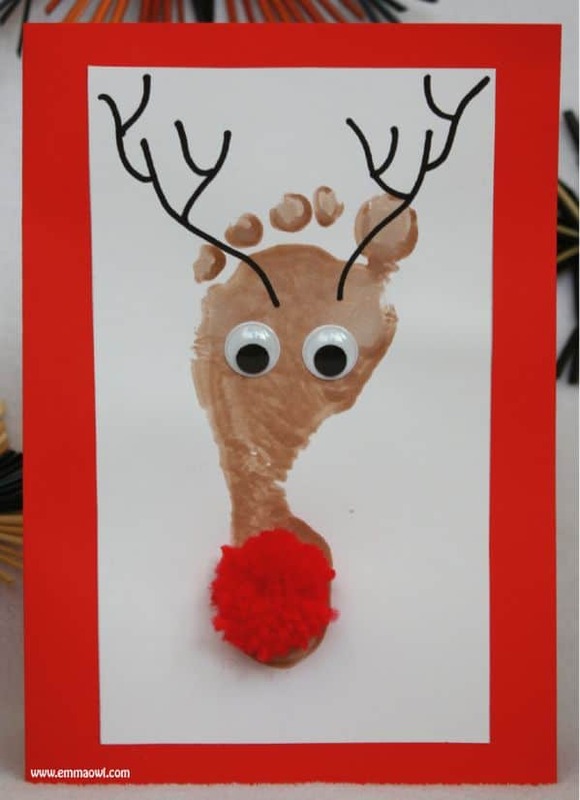 Speaking of Rudolph if you love this you’ll love these reindeer crafts too!